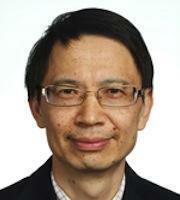 With four major monographs and over 140 published articles, Dr. Jianhong Wu has made very significant contributions in the area of infinite dimensional differential equations with applications to neural networks and population dynamics. He has been recognized as an outstanding researcher and an excellent leader not only in this area but also in applied mathematics. His book published by Springer-Verlag in 1996 has been a classical reference and a masterpiece in the area of parital functional differential equations and his joint book with Tibor Krisztin and Hans-Otto Walther, published by the American Mathematical Society as a special volume of the Fields Institute Monograph series, is regarded as a major breakthrough in the decription of the global attractor defined by semiflows generated by delay differential sytems with monotone feedback. His work on equivalent degree and global Hopf bifurcation theory and the joint book with W. Krawcewicz published by John Wiley as a special volume of the Canadian Mathematical Society monograph series provide powerful analytic and topologial tools to describe spatial-temporal patterns in physical systems. His recent work, partially represented by a monograph published by de-Gruyter, on neural networks, touches on the heart of the mathematical theory of cognitive science with applications to associative memory, pattern recognition and data analysis. Based on the excellency of his research, he has been awarded a Canada Research Chair (Tier I) in Applied Mathematics, the Alexander von Humboldt Fellowship and the Paul Erdős Fellowship.